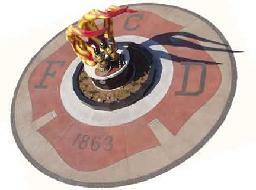 The Cleveland Firefighters Memorial Pipes and Drums was formed in 1991 with the primary purpose to "Honor Our Fallen." The Gaelic version, "Onoir Do Na Marbh," appears on the band's bass drum and shoulder patches. The band participates in funerals to honor firefighters, EMS personnel and police officers and has traveled to Pennsylvania, Michigan, West Virginia and Massachusetts to perform for firefighter line of duty death services. 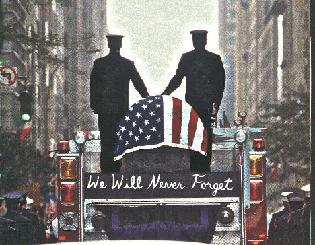 Band members have participated in the National Fallen Firefighters Memorial in Washington, DC in October of 2002, the International Association of Firefighters Annual Fallen Firefighter Memorial in Colorado Springs and at the National Fallen Firefighters Memorial in Emmitsburg, Maryland. in Washington, DC on January 20th, 2009. Members of the band can be requested to perform at firehouse dedications and open houses, parades, parties, weddings, funerals and many other special events to play traditional Irish, Scottish and American tunes. One of the band's biggest events is the annual St. Patrick's Day Parade in downtown Cleveland where it has won awards for "Best Bagpipe Band" 11 times since 1992. The band tied for the "Best Marching Unit" award at the 1999 parade and won the "Kennedy Award" for best overall unit in 2001. Most of the band's pipers and drummers are members of fire departments located throughout Northeast Ohio. You live forever, when the pipers play"